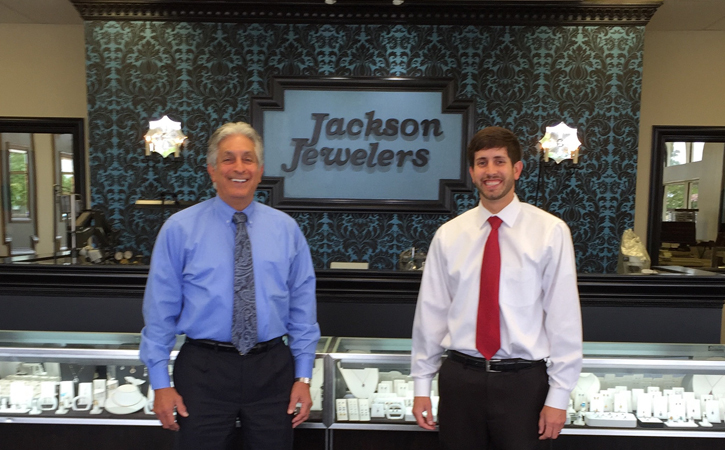 Jackson Jewelers was established in 1981 by best friends Ron Muffuletto and John Winstead. After the passing of John Winstead, Ron Muffuletto continues to own and operate Jackson Jewelers as a full service jewelry store based on Christian values and the trust that can only be earned by having served the Jackson, MS metro area for more than 35 years. We pride ourselves on personal service as we educate and assist our customers at some of the most important times of their lives. We love the fact that many of our new customers are the children and grandchildren of customers we have assisted in the past. At Jackson Jewelers, we carry one of the largest selections of loose diamonds and a wide variety of engagement rings. In our inventory, we have classic, contemporary, and antique reproduction semi-mounts. Our exclusive bridal line (The Jackson Jewelers Collection) is one of a kind and can be customized to fit any shape diamond of any size. We thank you for viewing our website. Please stop by our showroom at Lakeland Commons (directly in front of Babies R' Us, next to Wendy's) in Flowood, MS.
💎Stackable bands special💎 Start your collection or add to you collection today with one of these White gold, yellow gold or rose gold diamond bands for $239.00 each. Also, all our stackable bands and diamonds bands are 33% off.